Selecting MediaPost’s Client of the Year was painful. That Nike should win was, of course, practically a given. 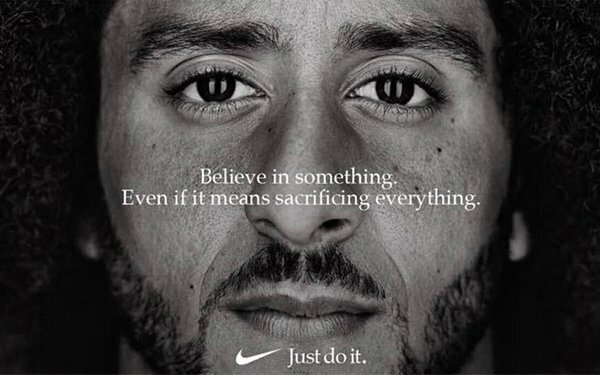 Few brands made as much news as Nike’s powerful new “Just Do It” campaign, which sold shoes and helped a divided nation look beyond racial tensions. It continued its powerful “Equality” work, and LeBron James even got his sneakers into the Smithsonian. Financial performance has been strong, market valuation hit new records and its disruptive retail innovations are getting almost as much attention as Amazon’s. At the same time, in a year when the #MeToo movement revealed that many marketers, media and ad agencies place too much power in the hands of genuinely horrible humans, we learned that Nike behaved badly. We’re not surprised its execs declined to be interviewed for this story. At a time when it was cravenly vowing to build its business with women, it turns out it allowed — OK, encouraged – managers and key executives to demean and discriminate against women. But when the work was good, it was very good. The September launch of Colin Kaepernick’s “Dream Crazy” campaign deserves to win awards simply based on stealth. Few realized the Beaverton, Oregon-based company still had Kaepernick under contract. He signaled the launch of the two-minute spot with a Tweet on September 3 that summed up the campaign: Believe in something, even if it means sacrificing everything. The same message sprang up on a giant billboard in Union Square in San Francisco. That was enough to ignite a social-media inferno that may never be topped, with record levels of engagement. Outraged opponents immediately started a boycott. Some torched their sneakers. Trump couldn’t have been more wrong. The campaign became one of the most viewed ever, netting Nike $164 million in free media exposure within a few days. Its Instagram post was the company’s most-viewed ever, reported Wedbush Securities. The campaign added followers, beefed up its social-media following, fueled a burst in sales and drove the stock to record highs. Most importantly, it stayed true to a purpose its core audience deeply believes: Athletes dreaming big, striving for excellence. Financially, Nike is finding its way again, after a few worrisome years when it seemed unsure of how to fend off Amazon’s internet onslaught. Analysts expect strong results when it reports its next quarterly earnings. Even better, it’s winning not just on its products, but its inventive retail approach, constantly enriching stores to become more digital and engaging. New stores in New York, Los Angeles and China offer the ultimate in personalization, customization and localization, with digital perks and upgraded services. Nike’s global clout is increasing, directly linked to its popularity in China. Morningstar expects Nike to “enjoy outsize top-line growth as a result of opportunities in its international segment (roughly 53% of sales), as athletic participation rates expand globally, particularly in the fast-growing soccer market where it holds a dominant position,” writes R.J. Hottovy, sector strategist. “We see the potential for long-run expansion in China, where Nike derives around 14% of its sales. We forecast this geography to rise at a low-double-digit rate, thanks to a middle class set to triple by 2020,” Hottovy adds. And — irony noted — it continued its efforts to deepen its connection to women throughout the year. While the NPD Group reports that Lululemon, No. 2 in women’s sports apparel, continues to gain on Nike’s lead, it produced some of its best advertising ever aimed at women. In Rallying Cry, women aren’t afraid to scream. In the hilarious “Together Unstoppable” in Mexico, city traffic is no match for young athletes. And it didn’t hurt that Serena Williams, arguably the greatest athlete of all time, had an amazing year, giving Nike the chance to create spots showcasing her fierce commitment to both performance and equality. While its athletes advocated for fairness in its messaging, the reality at Nike headquarters was anything but. In March, Trevor Edwards, Nike brand president seen as an heir apparent to CEO Mark Parker, resigned, as the company cited inappropriate workplace behavior. A wave of resignations soon followed. As a result, Parker vowed to remain as CEO and chairman through 2020. By April, published reports painted a picture of a company riddled not just with discrimination, but with misogyny: Men referred to female colleagues with the C-word, made lewd anatomical comments in emails and subjected them to running commentary about strip clubs. Nike is now scrambling to make new hires, and observers say it seems intent on re-engineering its toxic culture. It promoted Amy Montagne to vice president-general manager of global categories, replacing the departing Jayme Martin, and boosted Kellie Leonard to Chief Diversity and Inclusion Officer. Heidi O’Neill, president of Nike Direct, is expanding her role as leader of Nike physical retail stores and Nike.com. It now includes all Nike digital products, services and member experiences. The company is also changing up its marketing bench, promoting Dirk-Jan “DJ” van Hameren to Chief Marketing Officer, replacing Greg Hoffman, who moves to vice president, global brand creative and marketing innovation. So to the fine men and women of Nike and its agencies, including Wieden + Kennedy, we salute you for a year of category-changing work. The hundreds of millions of impressions you made didn’t just sell shoes, jerseys and sports bras. They sent a bigger message, conveying a brand purpose: Sport is the great equalizer, regardless of race, nationality, gender or religion. It genuinely makes the marketing world a better, brighter place. And to the executives who fostered the woman-hating, and those who looked the other way? We hope karma is real, and you get what’s coming to you.